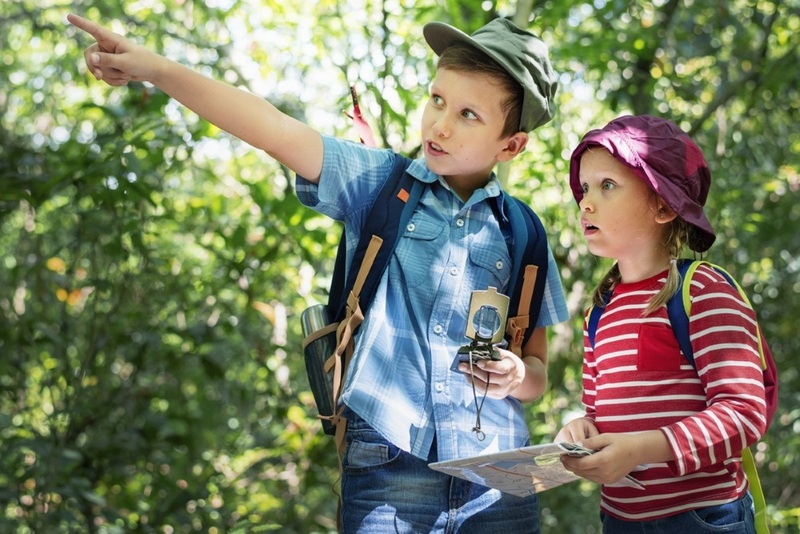 Pairing a book with a day out is a great way to build the excitement and anticipation for your trip but we also know that encouraging children to think a bit more deeply about what they’ve read, and connect it to their own experiences, is hugely beneficial. We’ve selected two books that younger children (roughly 5-8 years old) will enjoy, whether you read aloud to them or they go it alone, and three that would be more suitable for older readers (roughly 8-11). We’re specialists in chapter books but having taken a glance at our own picture book collection we’re certain you’d also be able to find numerous books to tie-in with these museum trips if your little ones are still at that stage! The Day That Aliens (Nearly) Ate Our Brains (Walker Books) by Tom McLaughlin is a laugh-out-loud comedy that sees Freddy and Sal (plus two policemen and the leaders of the free world) face the threat of alien invasion … one that they inadvertently started. Why not follow this up with a visit to the Science Museum’s Exploring Space gallery? Find out all about the spacecraft that have explored our solar system, what it’s like to travel in space and the amazing feats of engineering that have made it possible. Horace and Harriet: Take on the Town (OUP) by Clare Elsom is a fun-filled adventure for younger readers featuring Lord Commander Horatio Frederick Wallington Nincompoop Maximus Pimpleberry the Third (or Horace, for short), a statue that comes to life and, dissatisfied with his plinth, sets out to find a new home. From invading the duck pond, to adding cannon and a crow’s nest to a garden shed, it’s clear that Horace is a sea-faring fellow, so why not follow in his footsteps with a trip to the National Maritime Museum? The AHOY! Gallery for under 7s and All Hands Gallery for 6-12-year olds offer hours of interactive fun and adventure for kids of all ages. For slightly older readers The Matilda Effect (Corgi) by Ellie Irving is a rip-roaring adventure featuring a mad dash across Europe to put right an historic wrong. Matilda is a gutsy young inventor and when she discovers that her grandmother was an astrophysicist who discovered a planet but who’s boss claimed her discovery as his own, she sets out to stop him collecting the Nobel Prize he doesn’t deserve. The Astronomy Centre and Planetarium at the Royal Observatory offer a chance to marvel at the wonders of the universe, just like Matilda and her grandmother do in the book. Not only can you see one of the biggest telescopes in the world, but you can touch a 4.5 billion-year-old meteorite. If you visit on a weekend before the end of September there’s also the chance to drop into space science and exploration-themed family workshops run by Observatory Explainers. The Jewelled Jaguar (Firefly Press) by Sharon Tregenza is a gripping adventure for slightly older readers set on the wild Welsh coast. When a sinkhole opens up and almost swallows Griffin, his mother and their house his life is turned upside down. Could the Jewelled Jaguar, an Aztec sacrificial knife discovered in an underwater shipwreck by Griffin’s mother, be the cause of these strange goings on? What better place to go to find out more about the amazing Aztecs than the British Museum? Discover exquisite sculptures and mosaics in the Mexico room on the ground floor. Or if you’re feeling more adventurous, why not follow the Museum Explorer: Creatures trail which goes all around the museum and includes a stop at the famous Aztec double-headed serpent. And finally, a book that we think adults will enjoy just as much as older primary school readers. The Extraordinary Colours of Auden Dare (Piccadilly Press) by Zillah Bethel is set in a war-torn future where water is scarce and robots are commonplace. Auden has a unique perspective on the world: he only sees the world in black and white. As this mystery adventure unfolds, Auden learns the truth about an extraordinary family secret and the real meaning of friendship. Colour: The Rainbow Revealed, an interactive, family-friendly exhibition is at the Horniman Museum until 28th October 2018 and explores how colours shape our world. This article first appeared as a guest blog post on Milk at the Museum Adventures.